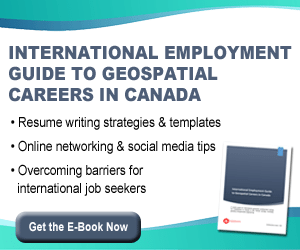 GoGeomatics Canada, a communications and resource hub in the Canadian geospatial community, has just launched a career guide for international geospatial job seekers looking to move to Canada to work in GIS, remote sensing, surveying, geodesy, and geomatics engineering. 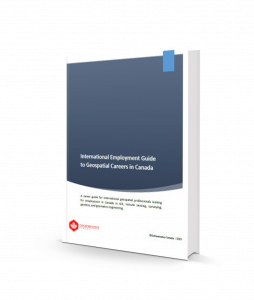 Called The International Employment Guide to Geospatial Careers in Canada, this 78 page e-book includes information about the Canadian geospatial employment climate, strategies for overcoming common job search challenges for overseas applicants, resume and cover letter writing techniques and templates, networking and interview tips, links to employment and educational resources, and much more. 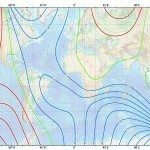 This Guide is full of important links to outside sources for further reading and helpful resources like job search websites, Canadian geomatics programs, geomatics associations, and immigration resources. It also includes enhanced resume and cover letter templates that you can use for your own applications. 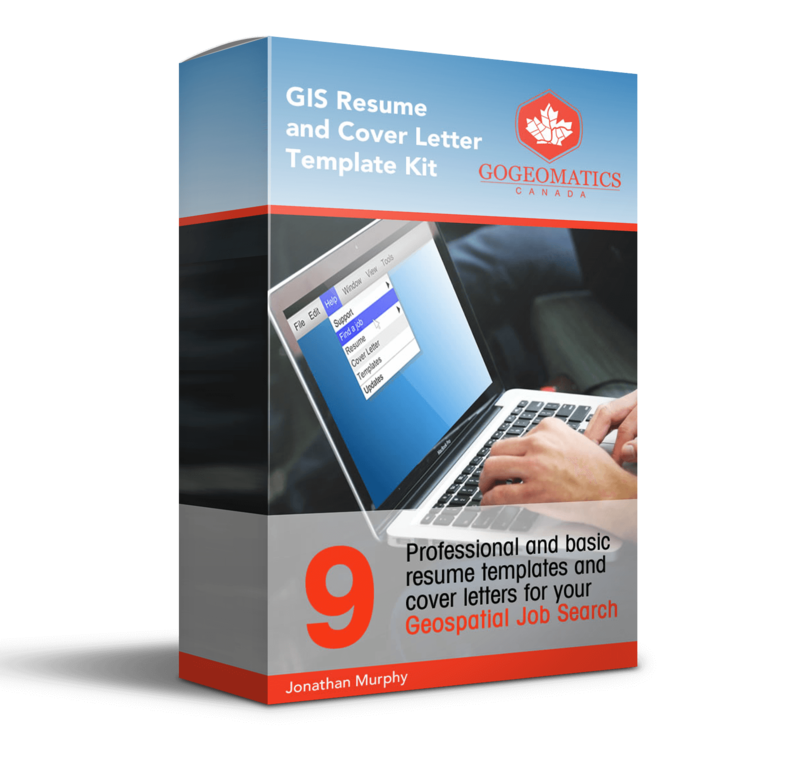 This e-book is the latest in a series of GoGeomatics products and services geared toward geospatial job seekers, including their resume and cover letter writing services, and soon-to-be-launched portfolio services. 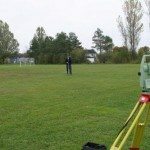 GoGeomatics Canada has been providing valuable resources to geomatics job seekers for the past five years. 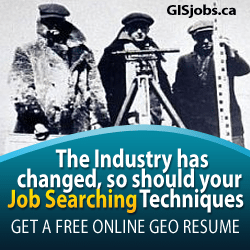 These resources include the GoGeomatics online Job Board, monthly networking socials in cities across Canada, Career Seminars, and an online magazine and email newsletter providing industry news. 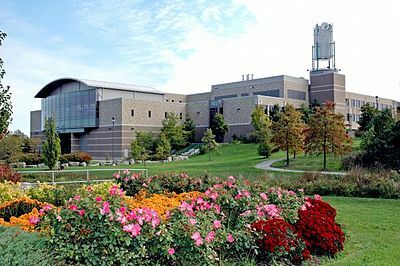 We are committed to strengthening the geomatics community in Canada.